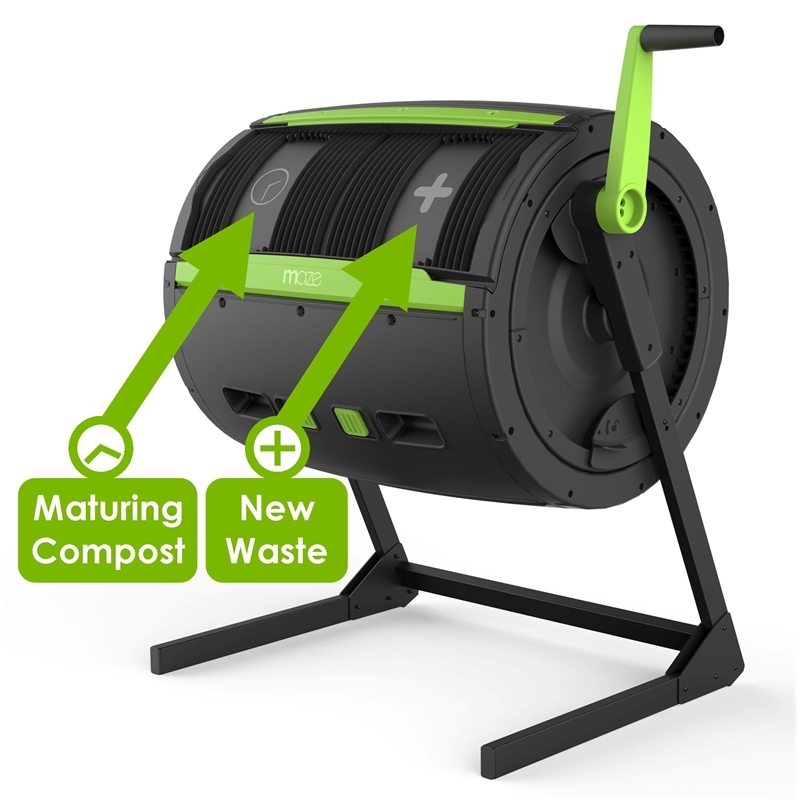 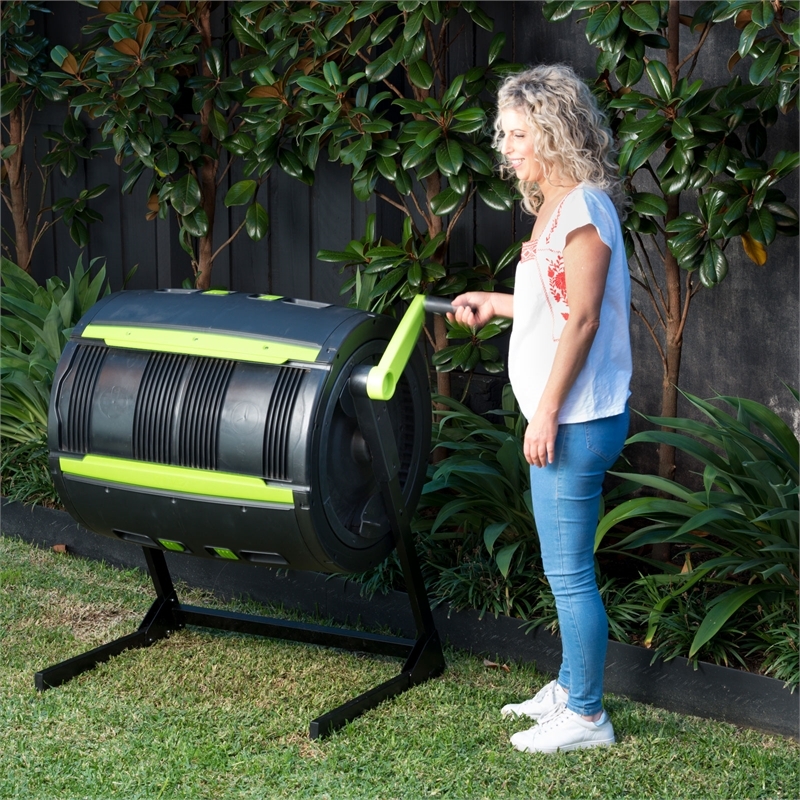 The 245L Compost Tumbler by Maze transforms leftover waste and garden refuse into a rich, nutrient dense compost with next to no effort at all. The reinforced barrel has been UV protected and contains multiple air vents to promote aerobic decomposition. Sliding doors allow for the easy addition/collection of organic waste while the barrel itself can be setup as either a standalone unit or, if desired, divided into 2 separate compartments for the alternate curing and addition of compost. 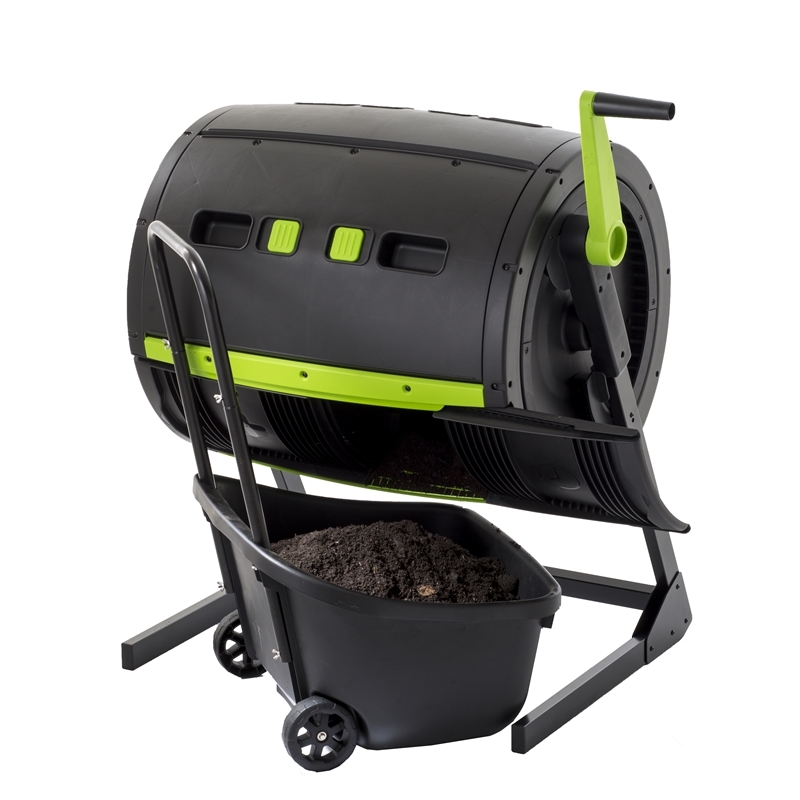 The frame is zinc powder coated. 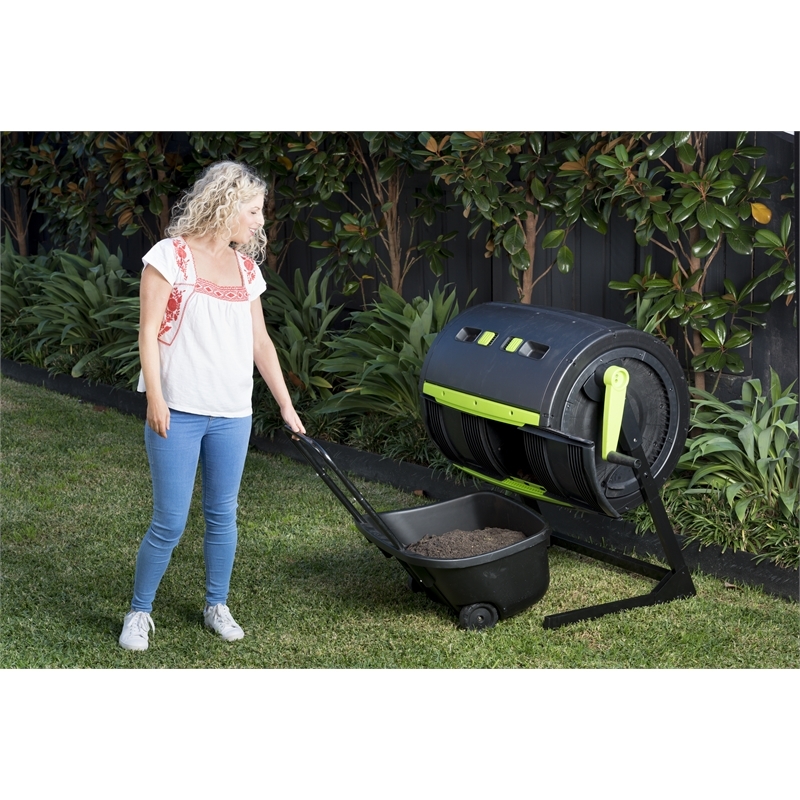 Its open design allows for the easy collection of ready to use compost from the barrel with plenty of room for a compost cart or bucket to slide in underneath. Then there is the newly designed crank and gear system. 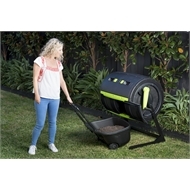 This was developed in order to make the important task of rotating the contents of the barrel easy. 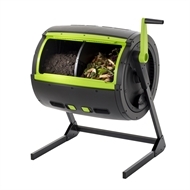 With a few simple turns of the crank handle, this system allows the barrel to be easily rotated in order to aerate/mix the contents within. 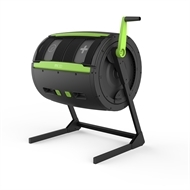 An extra feature in this system is a ratchet lock to prevent backwards rotation. 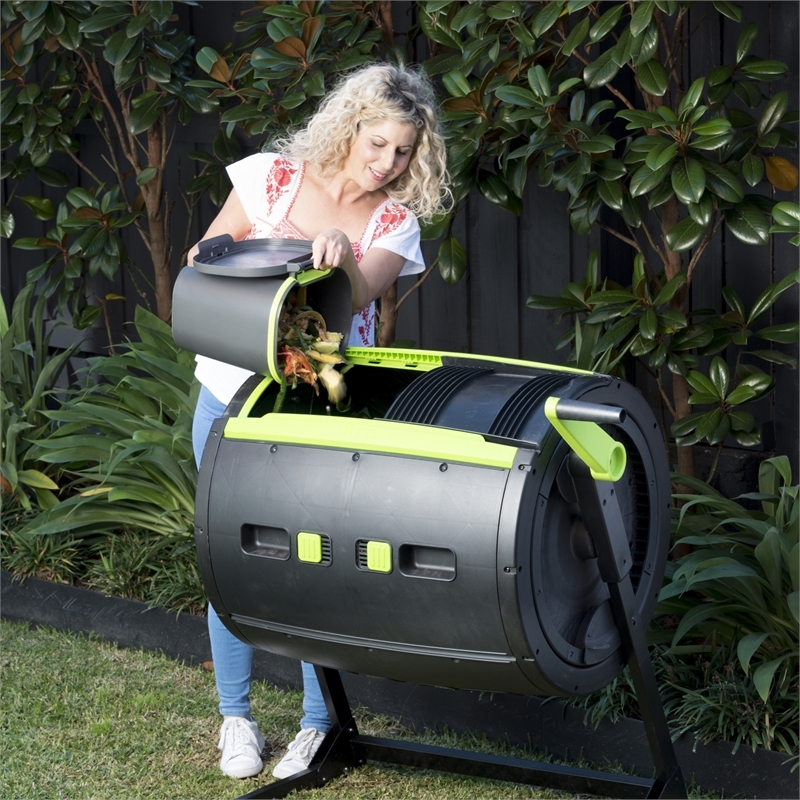 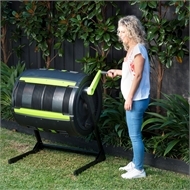 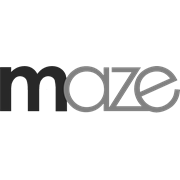 Developed and designed in Australia by Maze, the new 245L tumbler is sure to take care of all your composting needs for a very long time.